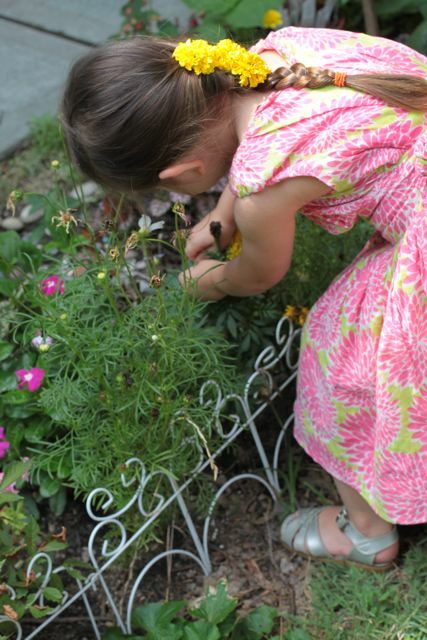 From the day we planted the first flowers in our little garden, Maya has been itching to pick them. 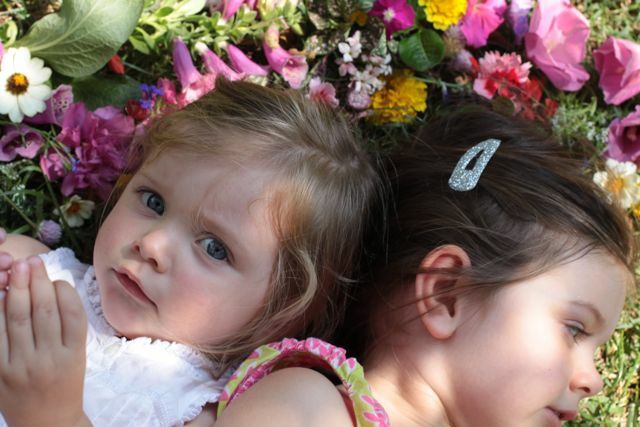 Many a time I have hollered at her “Don’t pick the flowers Maya, let them grow!”. Mostly she has listened to this and so our garden remained full of blossoms. 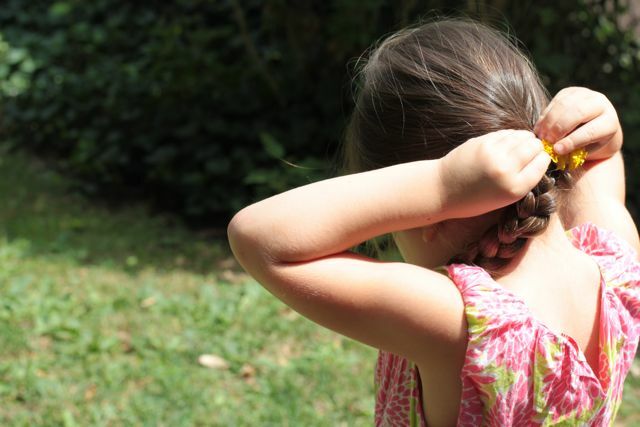 I appeased her somewhat by promising that at the end of summer we would pick the flowers. While it is not quite the end of summer, the heat wave has meant the flowers are drying out. Despite lots of water, the flowers just can’t survive long under constant heat. 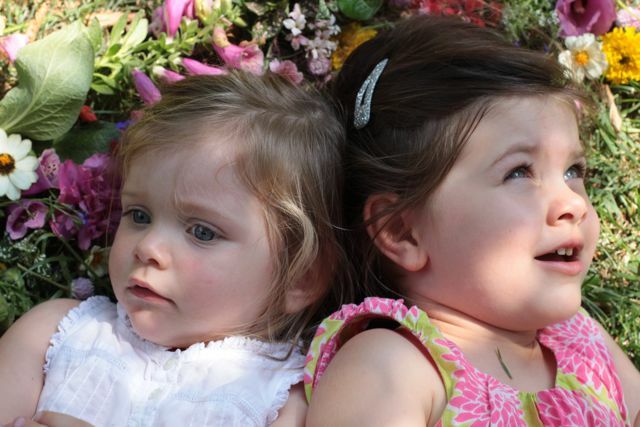 So the day came, sooner than I expected, that I said to Maya, “Let’s pick the flowers”. Maya excitedly said “I am going to pick a Marigold”. I am always delighted when she knows the names of our flower friends! 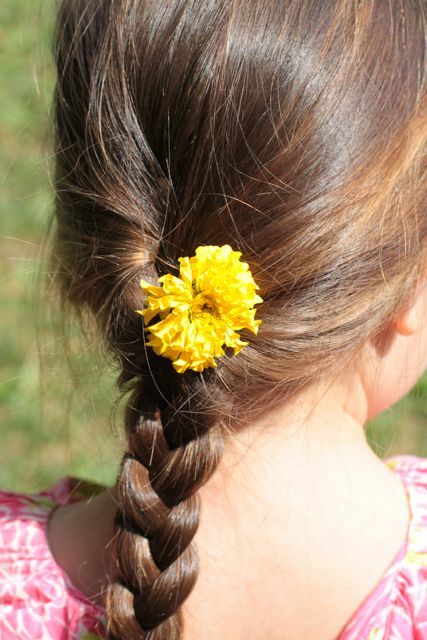 Maya picked marigolds and put them in her hair. I picked a little of everything and laid them out on the grass. 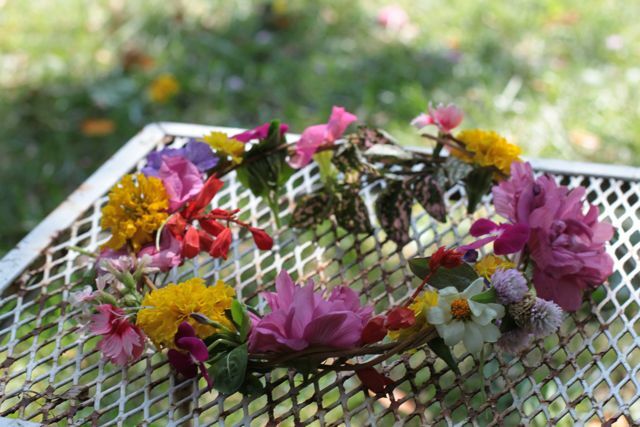 Maya thought it was a good idea to make a flower head wreath and so started working on that. 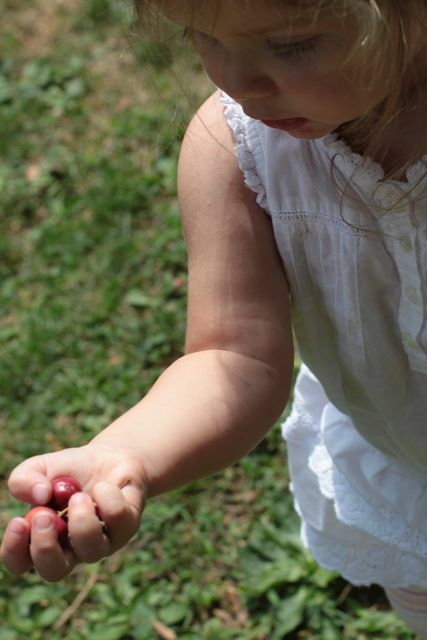 Meanwhile, Elle was collecting little red fruit of the lawn. 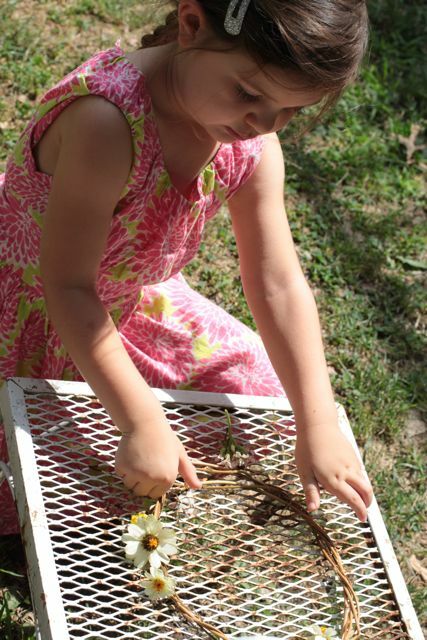 We all enjoyed picking the flowers that have grown from the love and care we gave them. I particularly liked the moment when Maya said to me “Don’t pick all of them Mummy”. This entry was posted in G E N E R A L and tagged garden, girls.